So it is officially Autumn tomorrow, can you believe it?! Autumn is my favourite season of the year, and I am so excited now that it is finally Autumn. The leaves will start to change colour and crumble and who doesn't love standing on crunchy leaves? Autumn also means it's going to start getting colder, which I am also so pleased about. I love being able to layer clothes if I'm cold whereas when it's hot, you can only take off so much until you can't take anymore off, you know what I mean. "If a year was tucked inside of a clock then Autumn would be the magic hour." One aspect I love about Autumn is how it is so different to the rest of the seasons; everything is incredibly beautiful even though it's dieing, which I really can't understand. Although Autumn is filled with miserable wet days, everyone is still so happy because the other lovely things which Autumn brings. The crispy leaves, and the fresh air. Autumn brings the most wonderful evening walks. One aspect of Autumn I really don't like is the wind. I've found throughout the Autumn months, it is so much more windier than every other season, and combined with the rain; my eyes are like waterfalls. Also, slugs. Slugs are absolutely everywhere at the moment and it's horrible. This Autumn will be the first time I am able to drive on my own to university and my boyfriend's house. I am really looking forward to blasting out the music and having the heaters on while being stuck in all the terrible traffic. I used to hate driving but I feel like I'm going to really enjoy it throughout the next few months. Especially because I won't be walking to and from train stations in the horrible weather while having cars splash me. Something I realised the other day was how much I love listening to the rain. I had such a dreadful day and went out for a drive to the middle of no where and just sat in my car and listened to the rain. This was probably so much more relaxing than having a massage. I could have sat there all evening. 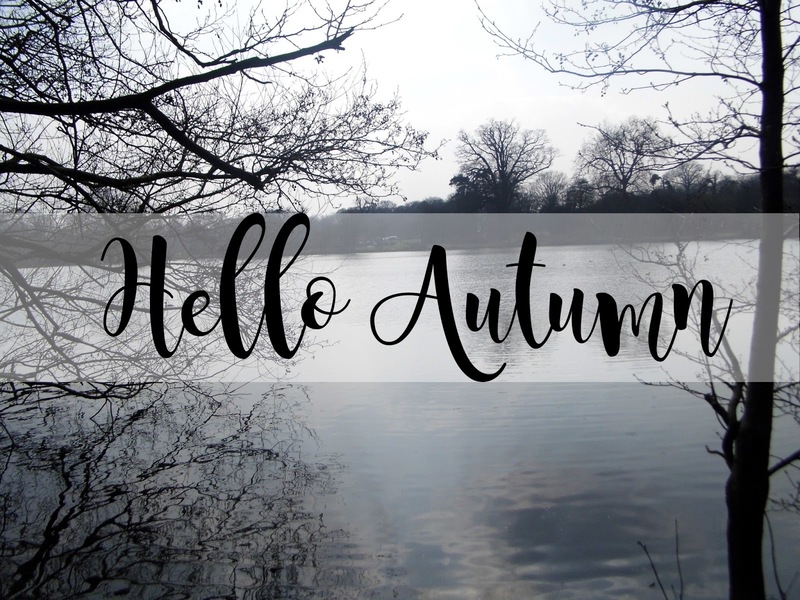 Autumn is for long walks, knitted scarves, gloves and overall being very cosy! The one aspect I love most about life is cosiness. Coming home and getting changed straight into my pyjamas. Or if I'm not going out, staying in my pyjamas all day, who wouldn't?! Lighting the candles, and reading a book underneath blankets is the most cosiest thing ever and Autumn makes this even more special. I don't have many goals for Autumn, however my main goal is to embrace the rubbish weather and not let it get too me! My hair either goes curly or straight and to be honest, I like it either way so I don't mind the rain anymore! I'm looking forward to the long walks in the rain with a thick hooded coat on. Another goal is to be happy. To be happy in university, and in my life in general, and also to be happy with my blog. I am so happy with everything at the moment but this happiness doesn't always last. So my main goal is to do everything I can to stay happy and to embrace it too! You never know who you're inspiring. Lastly, my goal is to blog every day throughout Autumn. Right now, this is going very well but hopefully I'm going to keep it up! Good Luck, i don't think id be able to post everyday! I love Autumn as well and I love all of the positiviry that is in this post! We are going into Spring and I normally hare the warmer weather but after this maybe I'll try and find some good in it haha! I love autumn, its my favourite season!